- 128 Murray Street has off street parking for 1 car. We recommend hiring a small to classic car as the turn out of the car park is a little tight for long cars. 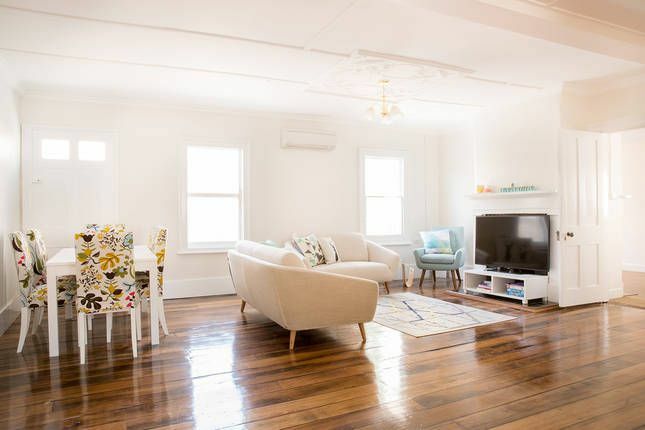 - Apartment 2 is connected to the NBN via FTTH and has blistering fast internet conenction. Be sure to bring your iPad or Laptop. - Fridge/Freezer, Oven, Hot Plates, Microwave Oven, Kettle, Toaster, Crockery, Cutlery and Glassware provided. -55" 1080P Television in loungeroom, 40" 1080P Television in childrens room with Nintendo Wii U. Library of games and movies included. - Three bedrooms, two with queen sized Beds, kids room with 2 single sized Beds. Electric Blankets, and bedside Tables with reading Lamps. - Washer/Dryer Combination Machine, Clothes Horse, Ironing Board and Iron provided. A portacot is provided if required. Please ask in advance. This self contained unit was perfect for our family holiday. It was close to shops , restaurants and supermarkets. The Sunday farmers market was right outside our door with fresh tassie produce and food . This was a real treat . The accommodation was as advertised and the welcome gifts were a lovely surprise from our hosts . We enjoyed our stay in Hobart. The apartment is located in a good spot and was very clean but unfortunately needs some maintenance issues attended to as the shower overflows and floods the bathroom. There was also no dishwashing detergent, toilet paper, washing powder, tea or coffee etc supplied like you would get in a hotel. Was more of an inconvenience than anything as we had to go and buy some at night. Great location, close to lots of what Hobart has to offer. Quirky place that was great for our family of 5. Not to big, not too small. Comfy beds, great list of local eateries/coffee. Wouldn't want to take a big car into the parking spot as it is a bit squeezy up the drive, but our mid-sized car was fine. Overall, spot on. Thanks for having us.